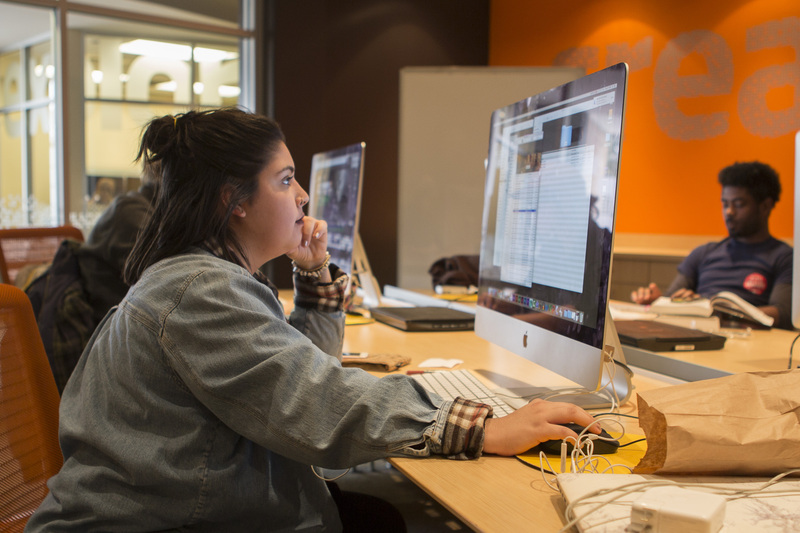 At the Learning Studio, we work to connect everyone on campus with the resources they need to be creative. This week, in partnership with our friends in the Maker Lab, we launched #MakeMerry on Facebook and Twitter. We enjoyed making Christmas cookies, hot chocolate, and pop tarts during Finals Week along with the opportunity to share some of our favorite Adobe projects from ACU students and faculty. But the #MakeMerry promotion also reminded us of some of the passionate, inventive makers and storytellers we work with every day. This week we’ve been promoting Adobe tools we use year-round in our work making the library the creative hub of the ACU campus. 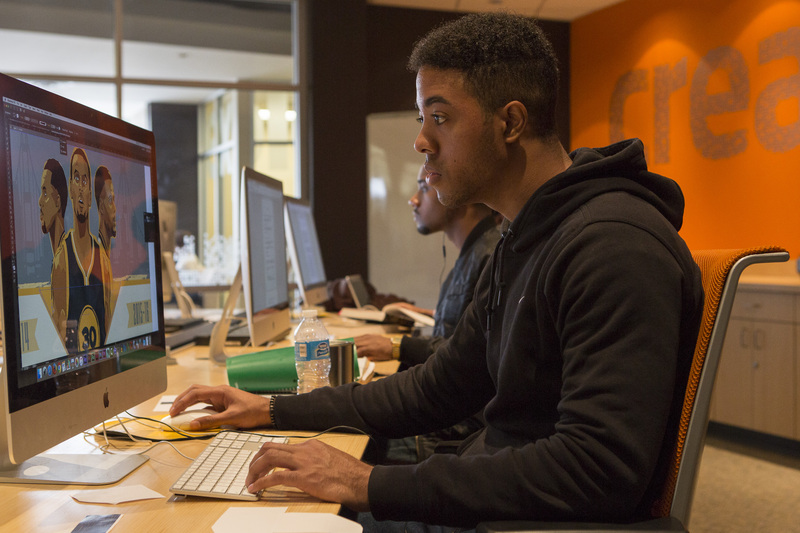 Here are just a couple of the ways that Adobe Creative Cloud makes our work possible. 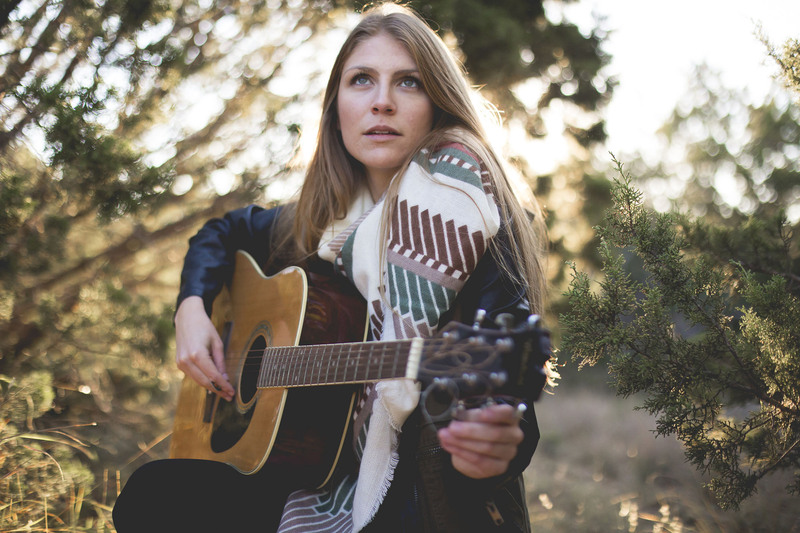 “Some of my most creative moments happen during the holidays. 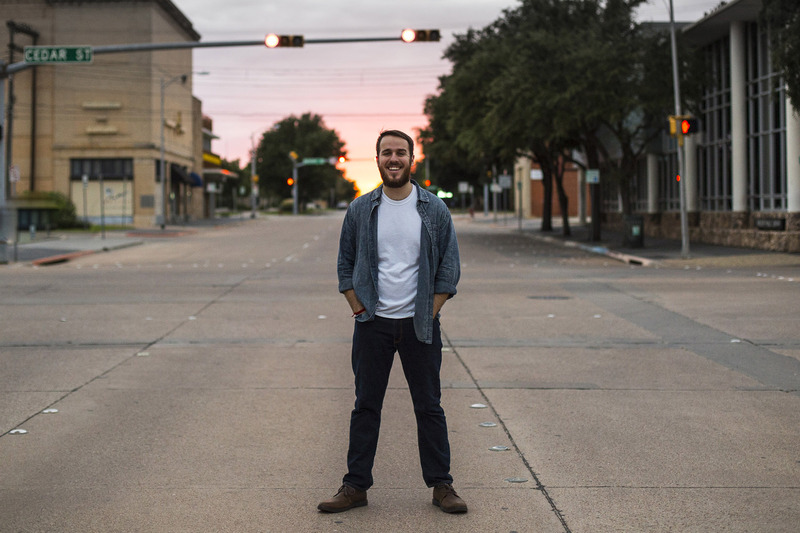 A change of pace is sometimes all it takes to connect the dots of a certain idea or discover a new way of doing things.” Nathan Driskell has been with the Learning Studio for most of our 5 years on campus and regularly leads video production projects, workshops for filmmakers, and most of the visual communications for us on the web, print, and social media. To produce the branding for the #MakeMerry promotion this year, Nathan developed original artwork in Illustrator that could be delivered to the web or digital signs as a still image. Then he also developed animations in After Effects that introduced simple motion to the branding elements to add a dash of holiday cheer to the videowall. 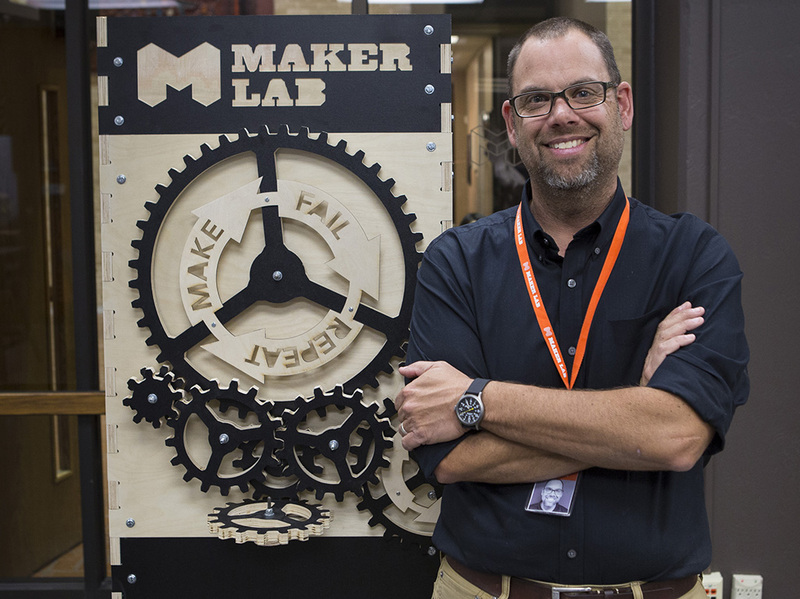 Darren Wilson joined the Maker Lab team this summer and led the design of the 6-foot tall box that welcomed visitors to the library this Homecoming. 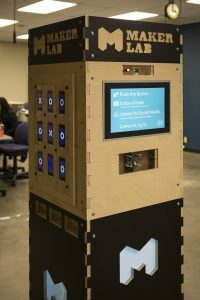 “We wanted to create some sort of mobile presence that would point people to the Maker Lab.” The project started life as a simple concept—a one-sided sign—but continued to evolve into a four-sided box you interact or play with. “I designed the inter-locking case in Illustrator and then gave those files to our student workers who in turn ran with it. Each side of the sign represents a different student worker and something they contributed.” In the future, individual panels can be replaced with new ones, meaning this is a project that will never be finished! Since the Learning Studio opened in 2011, we’ve enjoyed giving students opportunities to work with professional photographers and equipment. This fall we added Canon 6D full-frame DSLR cameras to our checkout pool, so trained students now have access to pro-level gear with their library card. This November we also hosted a photography workshop where 14 students had a chance to work with alum Asia Eidson on image making for social media. She introduced students to techniques for capturing striking images and then refining them with Adobe Creative Cloud. 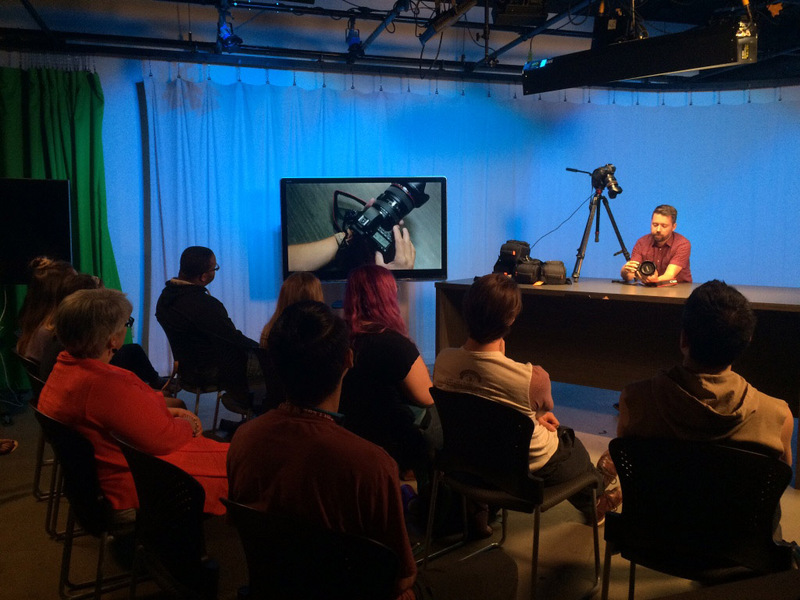 *To hear about future student workshops and 6D training, send us an email at learningstudio@acu.edu to get on the mailing list. If you’ve got some time over the Christmas break, download Photoshop or Lightroom to add some sparkle to your holiday images. Need some inspiration to #MakeMerry? 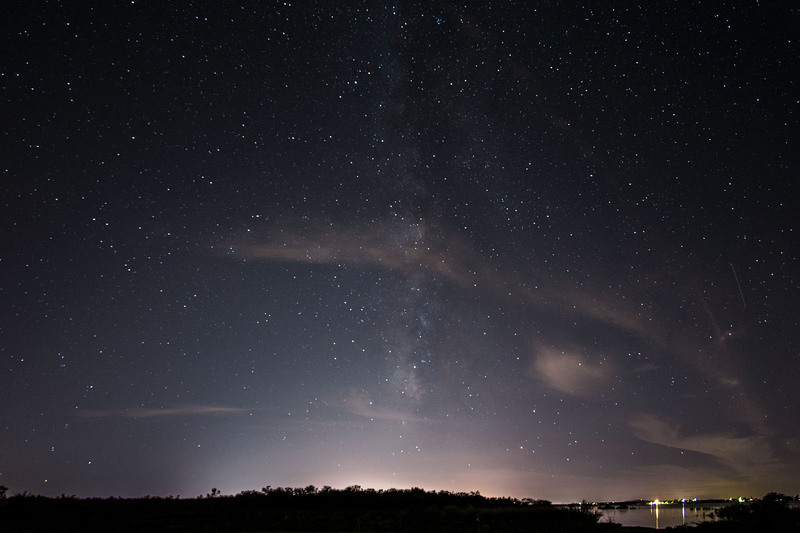 Here are a few ways Adobe CC let’s you add impact to your photography. Alex has been a regular user of our checkout cameras, and last spring he joined us for the first portrait photography workshop. His personality makes him great at working with his subjects, but Asia’s workshops have also improved the level of finish and confidence in his pictures. 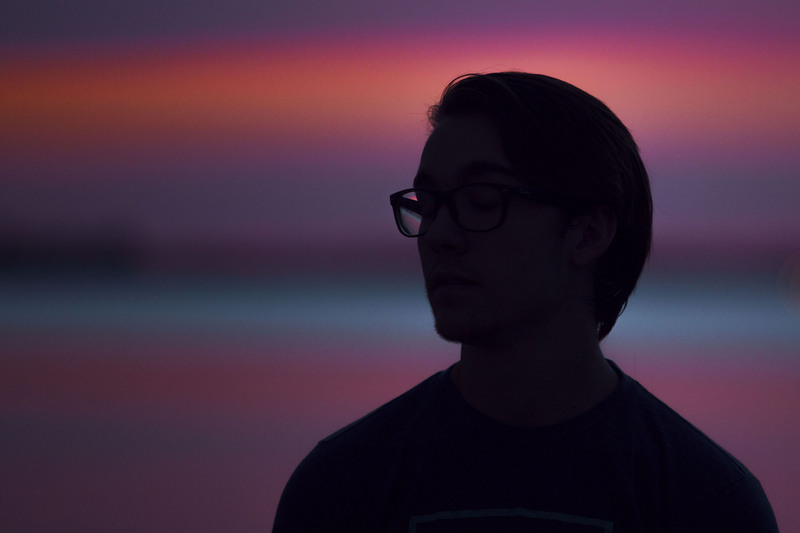 “If it was not for the Learning Studio access to top-quality equipment, I would not have realized my talent and passion as a photographer.” This summer he took the next step and opened a photography business at AlexposurePhotography.com. Planning on catching up on some Netflix over the break? In 2015, streaming video and audio accounted for 70% of all internet usage in North America (Sandvine). 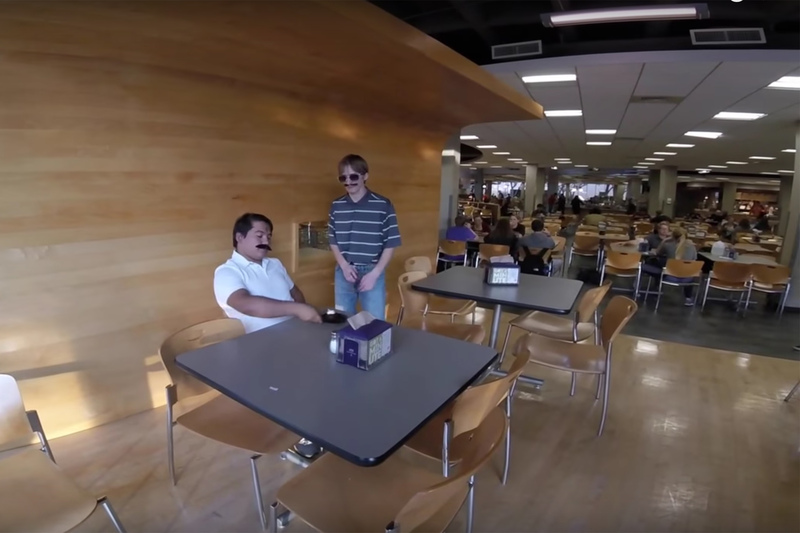 But ACU students aren’t just binging on video; they’re also producing their own films and stories. This holiday season, take some time to #MakeMerry. Grab your phone or a GoPro, and capture some clips of time with family, or the sights and sounds of home. Then cut them together using Adobe Creative Cloud. Before you leave, make sure you download Adobe Premiere Pro and get comfortable with basic editing. Need some inspiration? 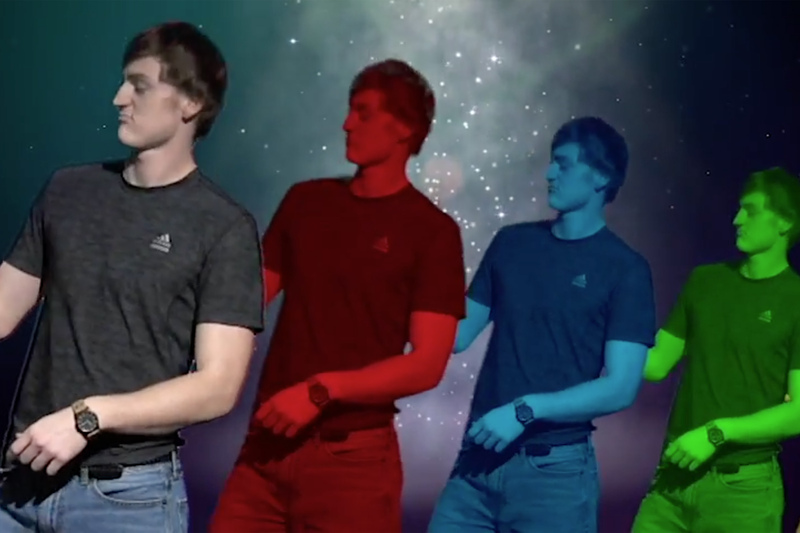 Here are a few ways ACU students and faculty have been tapping into Adobe CC this semester. Alyssa has written and shot, and is now editing, her first short film using Premiere Pro. “Editing is really the most important thing,” Alyssa said. This week she’s using the Macs and Adobe software available in the Learning Studio to turn her individual shots into a finished film. 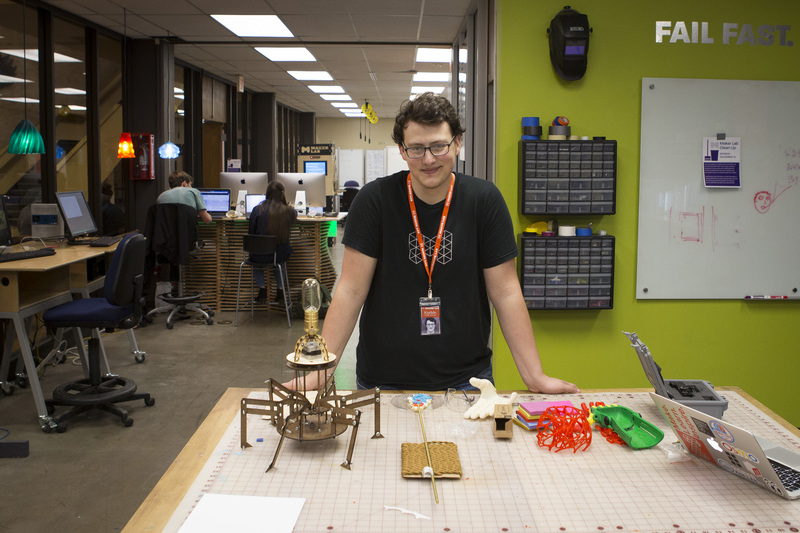 This week we’re partnering with the Maker Lab on #MakeMerry. Many of the projects wrapping up the semester in the library start with tools like Adobe Illustrator CC. Whether you’re designing a logo or poster in the Learning Studio or cutting the outline for a piece of furniture on a laser cutter or CNC router in the Maker Lab, Illustrator is a great place to start. Never used Illustrator? You can download it to your computer and check it out over Christmas break. Need some inspiration? Here are just a few of the things new users can do with it. Korbin works in the Maker Lab and decided to start a project inspired by an article he read in Make Magazine. “The idea for this lamp is that when you flip on the switch, it will stand up and the light will flicker on.” Korbin designed the 2-D outline in Illustrator and then cut his prototype on the laser cutter to test the fit. He plans to build the finished version with nicer wood after seeing how the pieces work together. “I try to make the information visually appealing and compelling enough for people to stop and read it and be interested in it.” Immanuel explains. 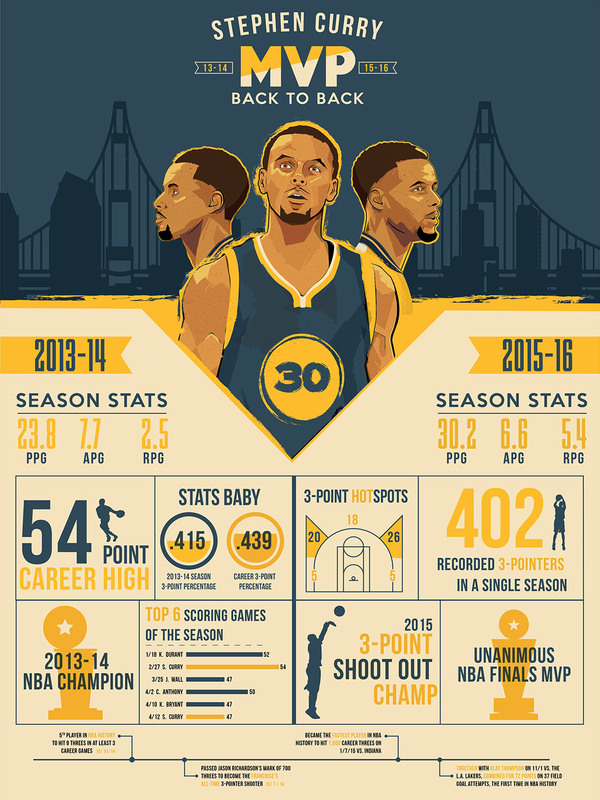 He used the Adobe software to create an infographic for a design class detailing basketball player Stephen Curry’s back-to-back MVP seasons. 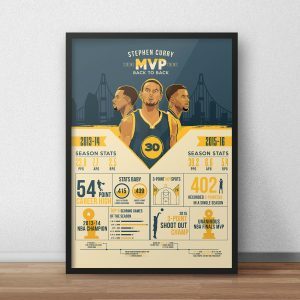 His goal was to make information visually appealing for people that might not otherwise take a look, and Illustrator lets him blend careful control over type with his original illustrations to make an impact. 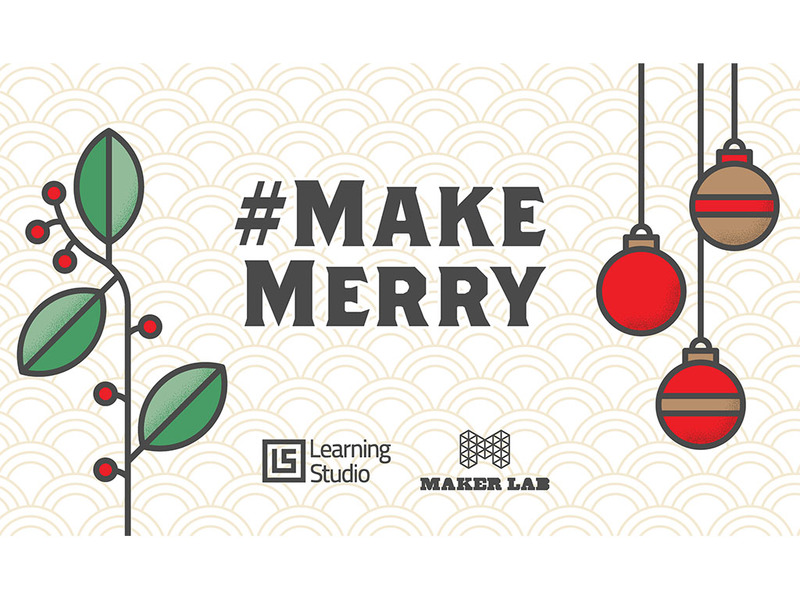 Swing by the Learning Studio today for your chance to #MakeMerry. We’ll be helping students download Adobe Creative Cloud for a little holiday making over the break. We’ll also have holiday snacks at the main desk (while supplies last), so you can kick off Finals Week by making yourself a treat. No experience necessary! It’s Pop-Tarts so the process is almost as easy as the One Button Studio. With Adobe CC and the Learning Studio, making over the holiday has never been easier. We’re half-way through our first year of Adobe CC access for all students and faculty and will be sharing some example projects this week. Don’t know where to start? Adobe provides a range of tools for beginners and professionals. Illustrator CC – a vector-based drawing program for designing everything from logos to tshirts. What can you do with Illustrator? Photoshop CC – a pixel-based photo editing program for creating and designing images for print, web, and media. What can you do with Photoshop? Premiere Pro CC – a video editing program that can produce anything from short digital stories to feature films. What can you do with Premiere Pro? Lightroom CC – a photo editing program for organizing and editing your photo library. What can you do with Lightroom CC? We’ll share a few of our favorite projects with each this week, so follow us on Twitter (@learningstudio) and Facebook (/aculearningstudio) to add some inspiration to your holiday.